Grant William Flower (born 20 December 1970) is a former Zimbabwean cricketer and a former ODI captain, who played all formats of the game. He is rated among the best Zimbabwean cricketers in history for his handy left arm spin and fine batting skills. He was a fitness fanatic who spends hours in the gym, and was also regarded as a brilliant fielder who was usually seen in the gully. "Flower Power", the combination of Grant and his brother Andy Flower, was the mainstay of Zimbabwean batting for a decade. He was his team's most successful opening batsman who played the role of anchorman, with strokeplayers coming in down the order. He played a lead role in, arguably, Zimbabwe's finest Test victory, against a strong Pakistan side. He would show a liking for the Pakistani side over his career, averaging over 40 against them and scoring 3 centuries including an unbeaten 201. In July 2014, he was appointed as batting coach of the Pakistan cricket team for a period of two years.He was also the first ever batsman to have carried his bat across 2 different formats and also the only batsman to have carried out his bat in both ODIs as well as in tests. Grant Flower was born in Salisbury, Rhodesia and was educated along with his brother Andy at North Park School where they were the best players in their age groups. Although always an allrounder, he bowled seamers in his early days and his bowling was rated more than his batting. It was in high school, at St. George's College where he changed to spin bowling. In the summer of 1990/91 his elevation to a professional cricketer was confirmed when he was employed by the Zimbabwe Cricket Union. His debut first-class game for Zimbabwe came against England A. In his second match he opened the innings and was rewarded with a fifty adding what would be the first of many century partnerships with his brother Andy. At just 19, Flower was part of the 1990 ICC tournament where the winner would qualify for the World Cup. Zimbabwe would go on to win the competition with Grant Flower scoring heavily in the early games. Had they not won the competition it is likely that Zimbabwe would not have made their rise to Test cricket, at least not until much later. Grant Flower missed out on the 1992 World Cup due to injury. In 1993 Grant spent a season in England with Widnes Cricket Club in the Manchester and District Cricket Association. After the World Cup Zimbabwe were promoted to Test status and Flower was unanimously selected to play against the Indians for the Inaugural Test match. On a flat pitch, he opened the batting for his country and dominated in a 100 run opening stand. He would go on to score 82, falling short of a century on Test debut. Zimbabwe again met the Indians this time on their home turf and again fell just short of a maiden Test century when he fell for 96. Pakistan toured Zimbabwe in 1995 and in the 1st Test Flower finally scored his maiden Test century. Not content, he went on to register double hundred. He hit only 12 boundaries and faced 523 balls as Zimbabwe scored a massive 4/544 declared. His innings would help Zimbabwe to win their first ever Test match as they won by a convincing Innings and 64 Runs. He would continue to haunt the Pakistani side, scoring his second Test century at Sheikhupura Stadium in Pakistan. In 1997 Flower became the first Zimbabwean to score a century in both innings of a Test match. Playing against New Zealand in Harare, he scored 104 and 151. A year later he scored his 5th Test century, an innings of 156 not out at Queens Sports Club against Pakistan. He would suffer a form slump after that innings, not scoring a 99 for 33 innings including 6 ducks. On 25 November 2000 he ended his slump with a fine 106 against India and would go on to score 4 50's in his next 6 innings. Flower more importantly was the first ever batsman to carry his bat right through the completed innings of an ODI.He also holds the unique record for being the only batsman in ODI cricket to have carried his bat in an One Day International match in a winning cause. In 2004 he announced his retirement from international cricket. This was due largely to the dispute between the rebels and the Zimbabwean Cricket Union. He signed a contract with Essex as a Kolpak player where he would play alongside his brother Andy. 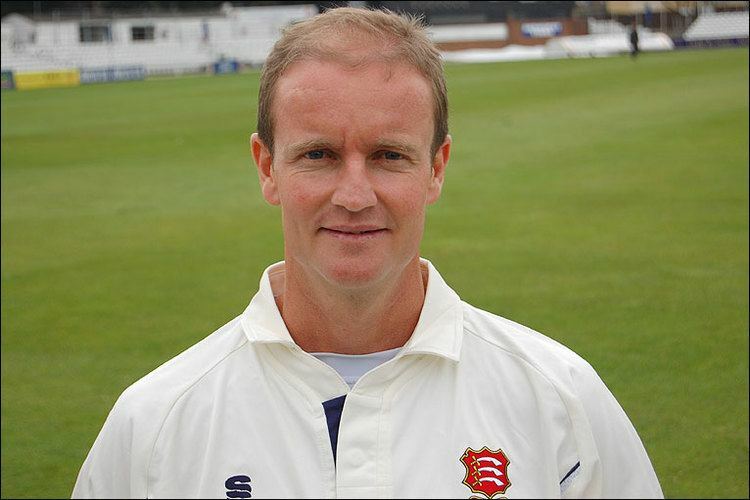 There was some grumbling amongst Essex supporters at his signing, but this appeared to die down after his first season, when he topped the Essex 2005 List-A batting averages and was third in the number of wickets taken. Following another fine season for Essex which turned out to be his last season of county cricket, Flower was handed a shock recall to the Zimbabwe team for the tour of South Africa. He is expected to combine playing duties with his role of batting coach of the national side and could be in contention to play in the 2011 Cricket World Cup to be held in India. He made his international return in October 2010 the first ODI of a three-match series vs South Africa. On May 2014, he was appointed as the batting coach of Pakistan cricket team.